GAME of Thrones star Lena Headey has recounted an uncomfortable encounter with a male reporter who critiqued her appearance while a room full of journalists watched. The actor, who plays Cersei Lannister in the hit HBO show, recounted the startling story during her appearance on a recent episode of Running Wild With Bear Grylls. "How are you with the press?" Grylls asked Headey as they appeared on the adventure-based show together. "You have to do these things for all the awards and everything where loads of people interview you. I went in and was seven months pregnant and (there was) a whole room of journalists, and this guy stood up and he said, 'Uh, I just want to say that you're really disappointing in real life,'" she said. "And he went, 'Is that your real hair?'" Headey continued. "And I went 'Yeah' and he said, 'The wig is much better. I like you as a blond.'" 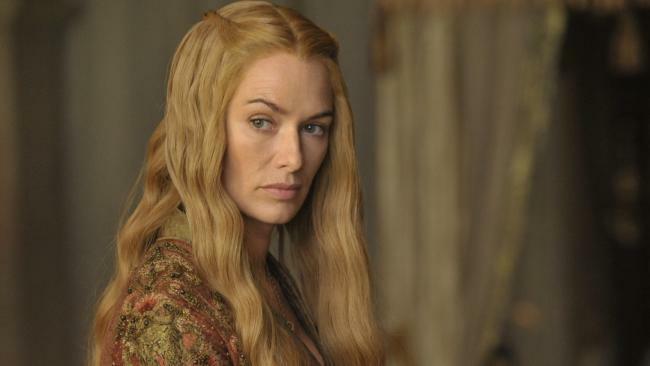 Headey wears a blond wig to play Lannister on the show, but is a brunette in real life. "I was like, 'OK.' I was just crushed," she continued. "How is that all right to say?" Headey has made headlines in recent months for speaking out about creepy and unwanted behaviour she's experienced from men in the past. Last year she opened up about an alleged disturbing experience with Hollywood mogul Harvey Weinstein in a lift - claiming when she rebuffed him, he warned her to keep her mouth shut. After hitting on her, "he whispered in my ear, 'Don't tell anyone about this, not your manager, not your agent.' I got into my car and I cried," Headey claimed on Twitter. The British-born star, 44, has also spoken up about the sexism she experienced as a young actor trying to gain a foothold in the industry. "When I was in my 20s, and doing a lot of audition tapes in the States, a casting director told me: 'The men take these tapes home and watch them and say, 'Who would you f***?'" she revealed.